Disclosure: I was provided with lift tickets to facilitate this review. All opinions expressed are my own. 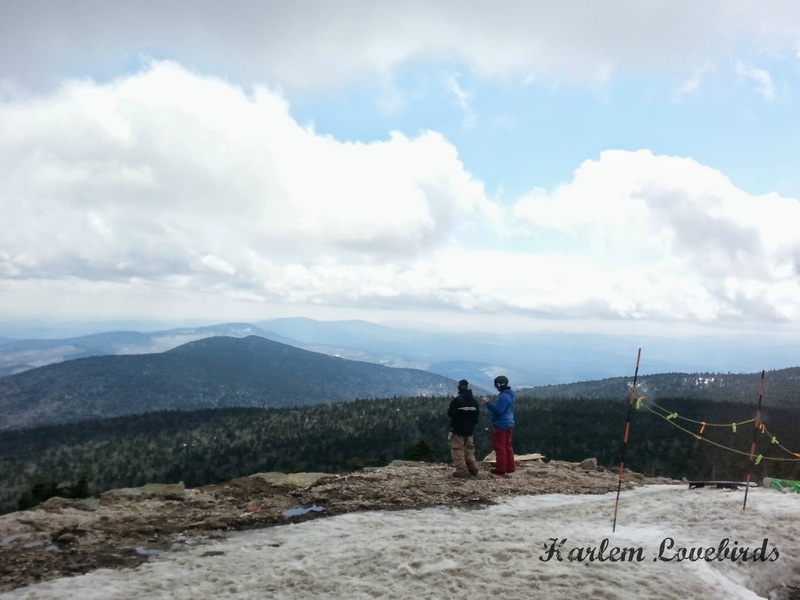 I shared prior to Easter how we were planning to head up to Vermont for a family-moon, and I'm excited to start sharing a few of our experiences during our trip! 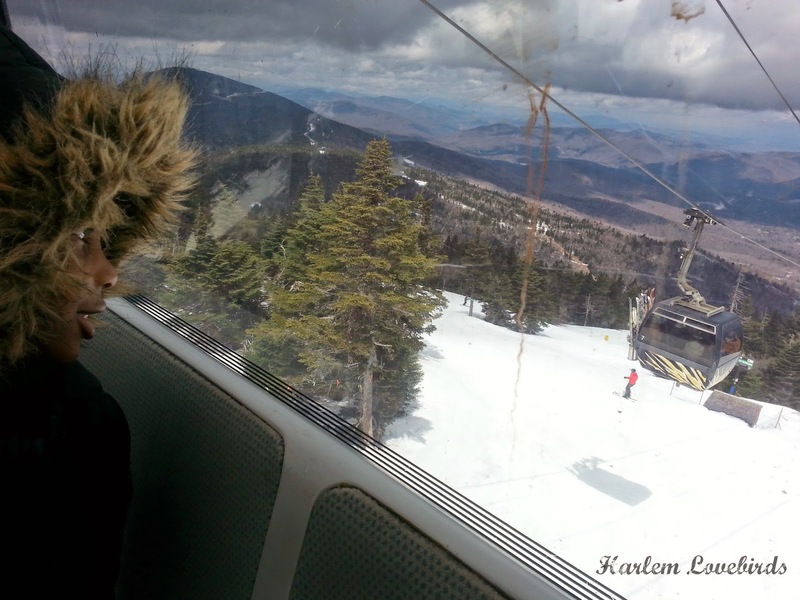 We had already planned our stay at Snadragon Inn when we were also invited to Killington, about an hour away from the inn. Since we'd be in Vermont for a long weekend anyway I figured we could make a day trip out of it just to check out the property if ever we want to come back in the future. 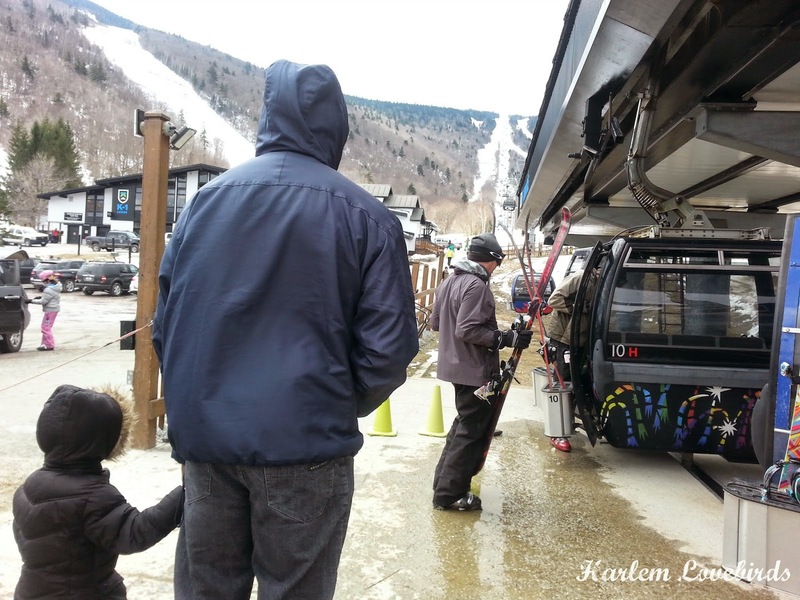 My first skiing experience ever was spring skiing in New Hampshire, and it was a lot of fun so I was excited to see the conditions at Killington. 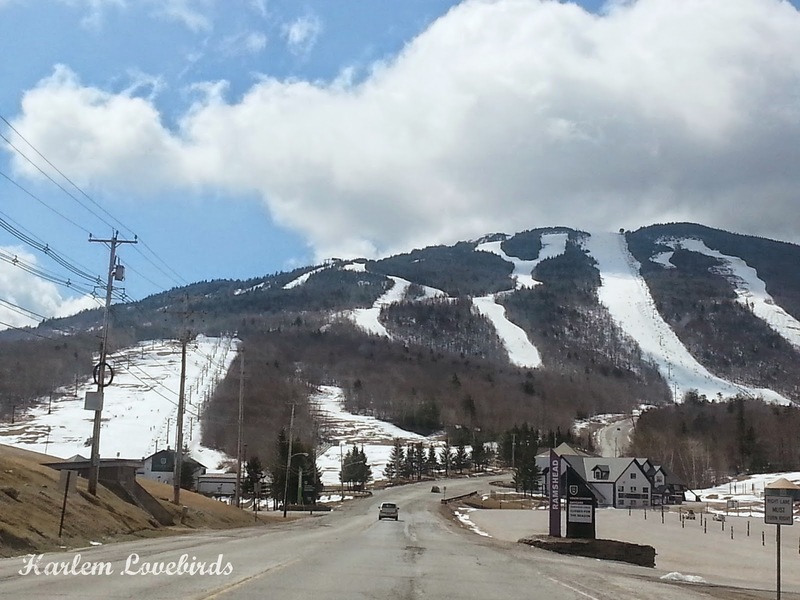 Mr. Lovebird who travels frequently to Vermont for work had heard it was a must visit as well so on Easter Eve we drove over. 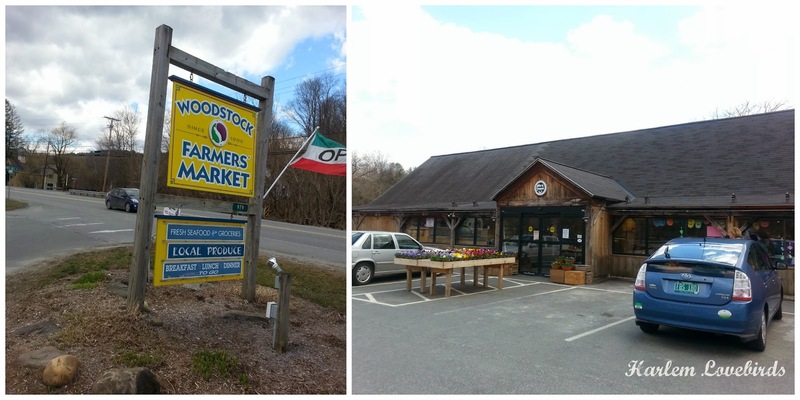 It was a serene route and as we passed through a few towns, especially Woodstock, I knew on the way back I'd want to stop. 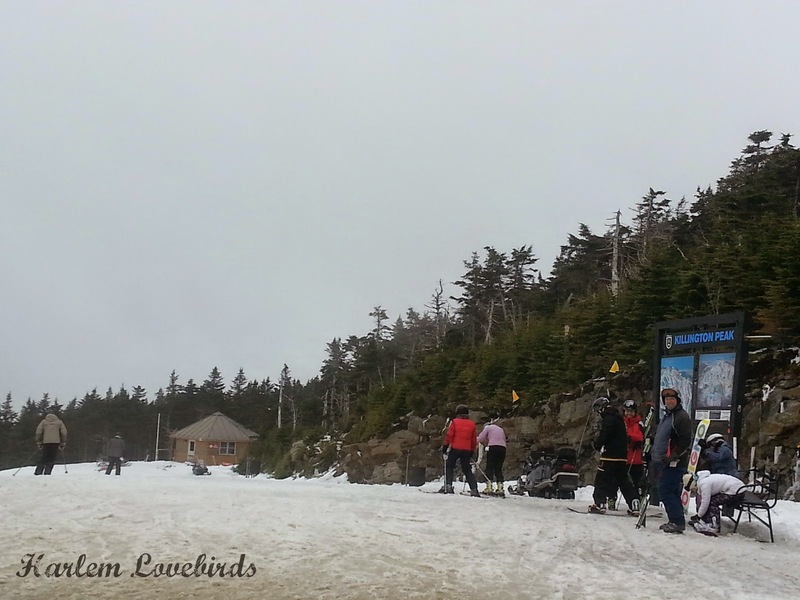 We were impressed by the breathtaking views as we approached the resort and while at first a few of the outer lots were a bit empty and we wondered where everyone was, as we made our way towards the peak we could see skiers zipping down and the crowds coming from the parking lot. It was full! Those black dots are all people coming down the hill to the left! More advanced skiiers were there during this time, but plenty of families and little ones were there too all geared up. Nia immediately broke into, "I want to skiiiiiiiii!," as she remembered our "Can House" adventure, but we showed her the gondola going up to Peak Lodge (elevation 4K ft!) and her eyes got big and she exclaimed, "OK!" We literally ascended into the clouds and the sun disappeared. 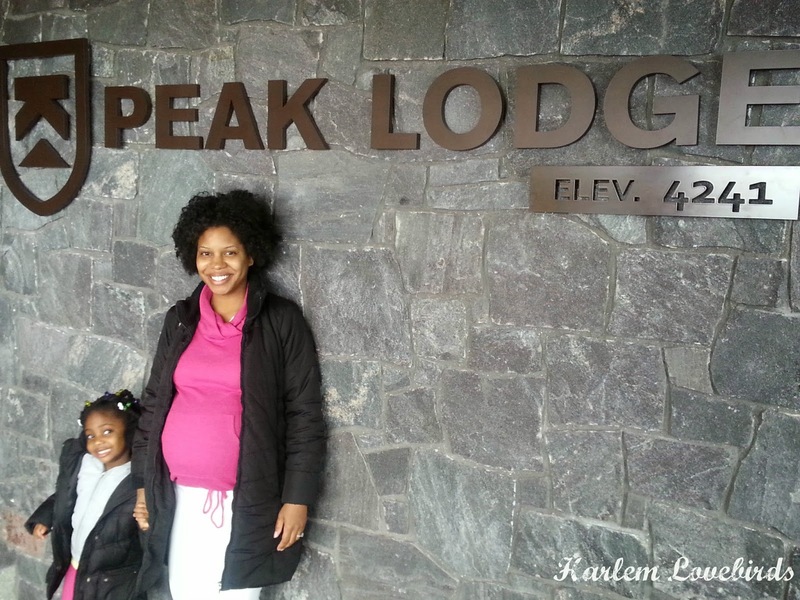 We made our way to the Peak Lodge just around the corner and down a few steps from the gondola - it felt like we were stepping off a mountain and later when we could get stunning views of the three surrounding mountain ranges. 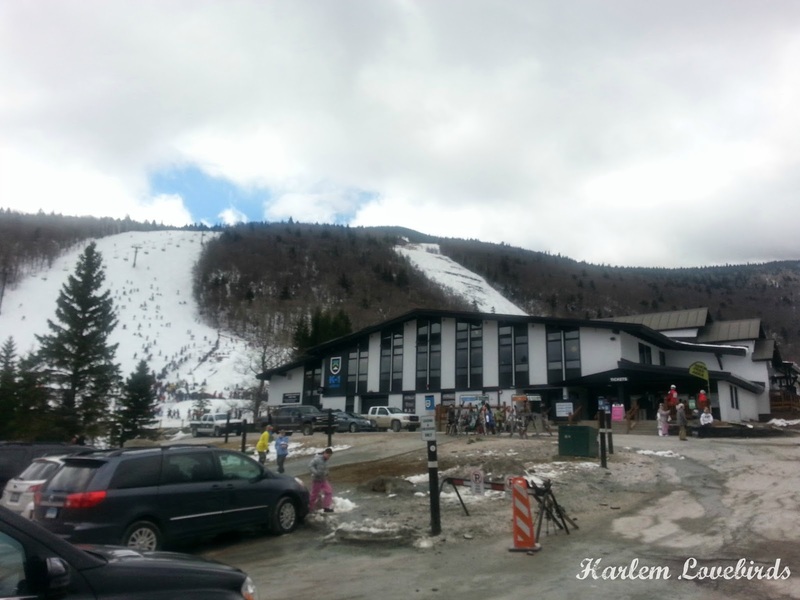 Peak Lodge is the newest lodge at Killington and while sleek and modern, it's definitely still comfortable. We got in just before noon but by 12:15/30p.m. 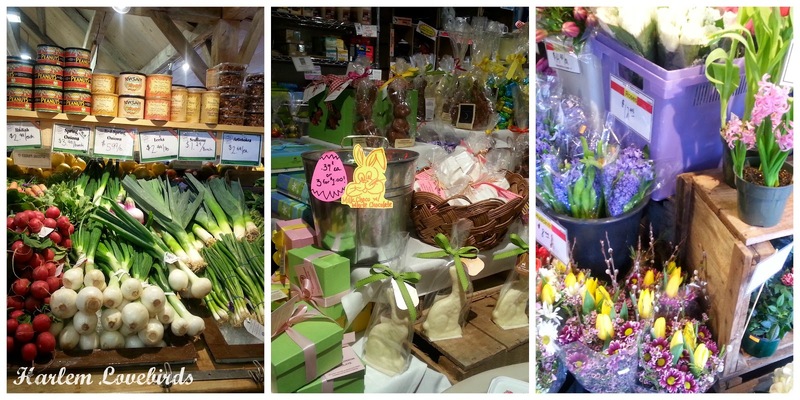 the place was swamped! 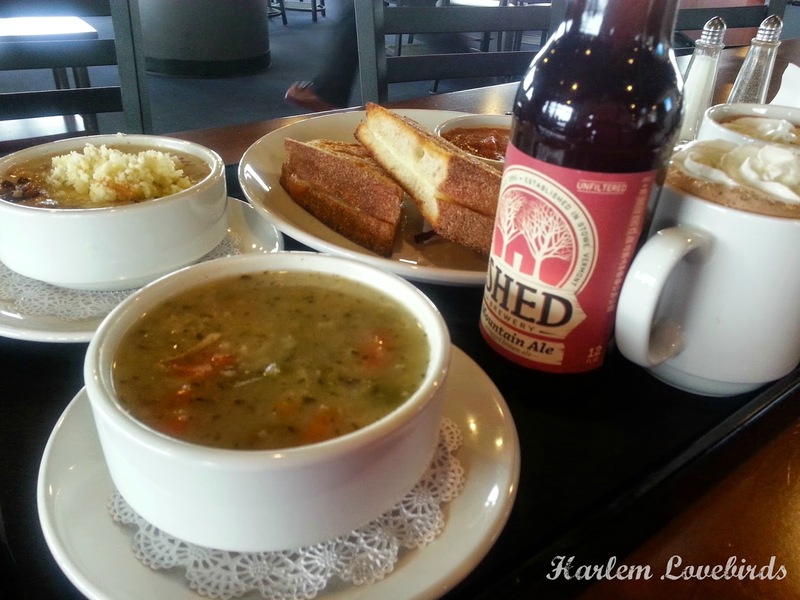 We opened our table to another couple and they shared with us how they had relocated from Boston to a small town of 1,500 in Vermont AND they loved it! 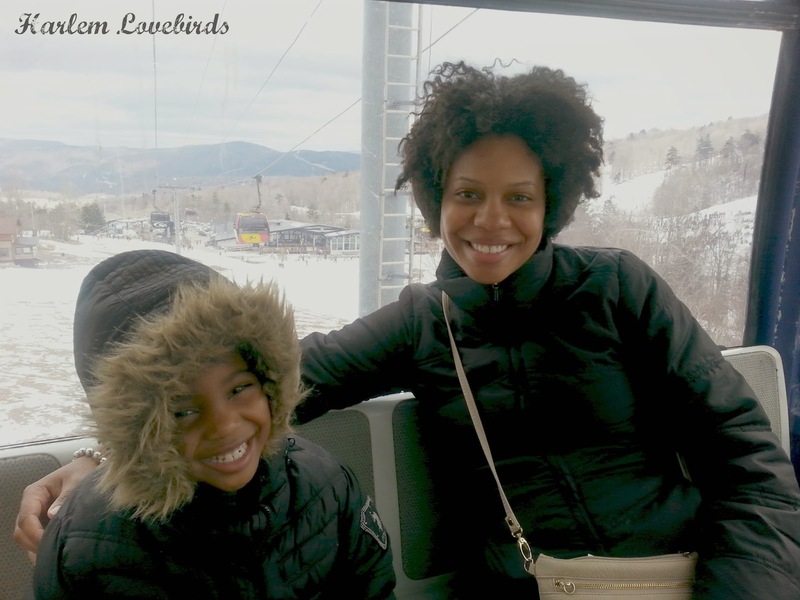 Nia had fun peering out the oversized windows into the clouds and catching glimpses of the gondolas arriving. 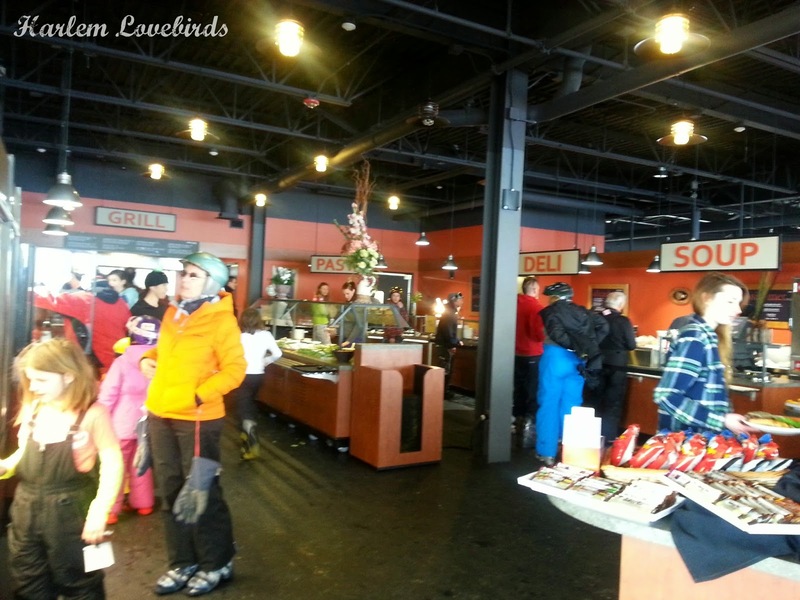 For lunch we enjoyed some of the best ski food I've ever had (I'm used to just hot dogs, chicken fingers and hamburgers on the menu!). My chunky tomato soup and fontina grilled cheese on hearty bread just how I like it was filling. There were several stations to choose from and had I been skiing I know I would've wanted to take a nap first on one of the lodge couches before heading back out! After lunch we rode back down to make our way back to Snapdragon Inn. And yes, we stopped along the way! I picked up a few goodies at the Woodstock Farmer's Market and got carried away trying all the yummy samples while Uka stayed in the car with a napping Nia. 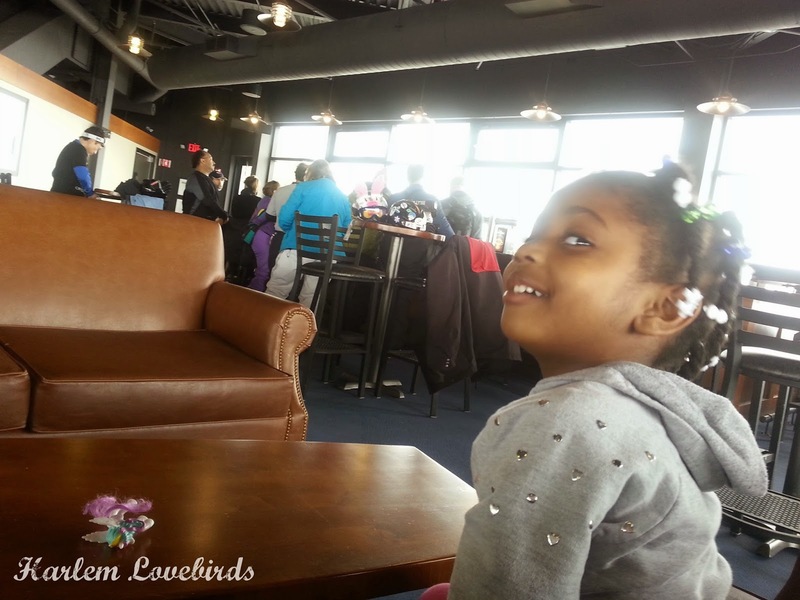 We highly recommend Killington and look forward to coming back with our family in the future (we just hope they make size 17 ski boots for Mr. Lovebird though - I shoulda asked!). 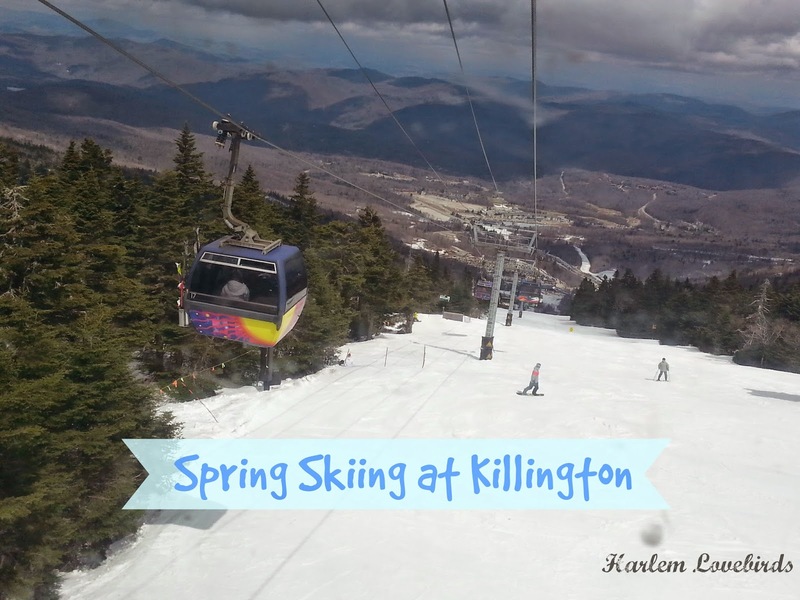 And with spring skiing still going on through May I'm giving away a family pack of 4 Killington lift tickets! The passes expire May 31, 2014 and all you have to do is enter via Rafflecopter below - there is only one mandatory entry with all others being optional. Giveaway ends Wednesday, May 7 with the winner announced on Thursday, May 8 (open to U.S. residents only). Good luck!